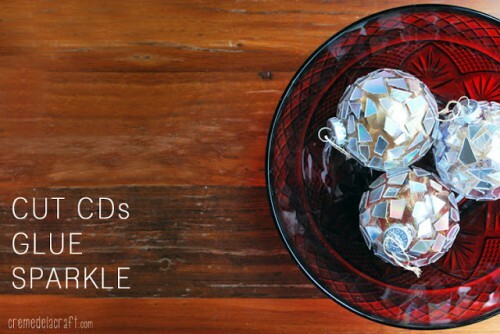 These cool ornaments are made of recycled materials that you have at home for sure – old CDs. You’ll need a glass ornament, CDs, ribbon, scissors, and a glue gun. 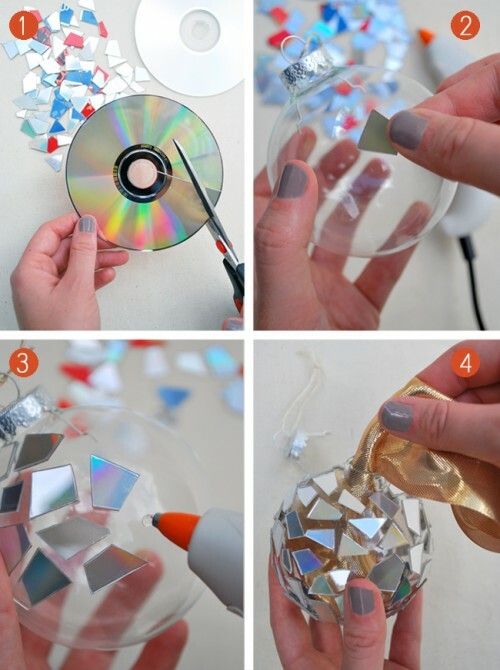 Cut CDs into various small shapes and sizes. 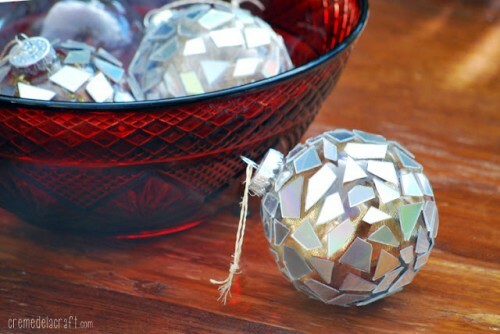 Glue a small dot onto the ornament and press a piece of mosaic on top with the shiny side facing up. Continue gluing until the entire ornament is covered. You can also place the ornament on top of a small cup to hold in place as you glue. Place some ribbon inside the ornament. Since you can see through the glass ornament, this will cover up the glue dots on the inside and the back side of the CD pieces. Your disco ornament is ready! Start decorating.